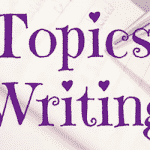 Spring Journal Topics— Spring is in the air and students are getting excited for summer vacation, warm weather, and outdoor fun. 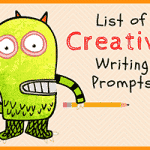 You can encourage their excitement with fun journal prompts and journal topics that allow them to daydream about springtime even while they’re in school. 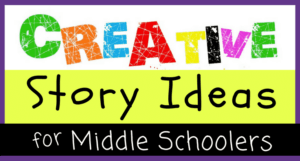 Journaling allows students to explore new worlds and to express their creativity. 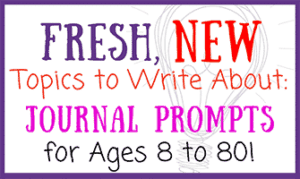 With journal prompts specifically designed for the year’s first season, they’ll be ready to begin the kind of new adventure that only springtime can bring. Spring is a time for rebirth and fresh starts. 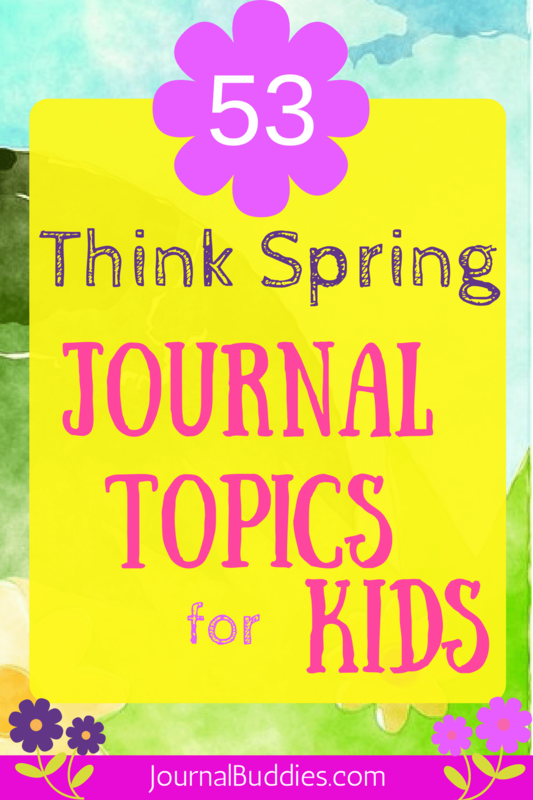 Renew your students’ interest in journal prompts with these great journal topics and with fun spring ideas listed below that allow them to think outside the classroom. 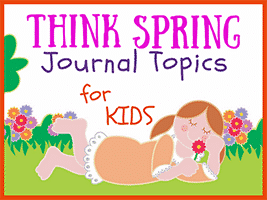 With these journal prompts about spring, students will enjoy writing about their favorite spring activities, the best way to spend a spring day, and all of the things that remind them of the season. 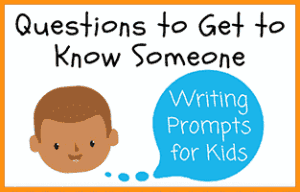 They’ll warm up right away to these new prompts that allow them to explore favorite spring traditions and their best spring memories. 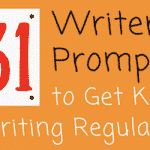 53 Writing Ideas about Springtime! People think about spring as a time for new beginnings – what is something you would like to start doing this spring? Why does spring symbolize birth? 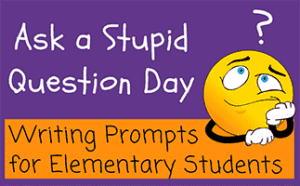 What changes could you make beginning in spring? Why do you think baseball is an American tradition? Do you ever celebrate May Day? 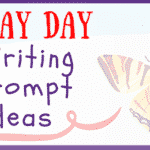 How could you create a May Day tradition? Do you ever feel happier during the springtime because of the sun? 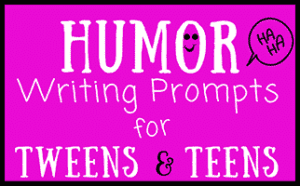 Have you ever noticed that “April showers bring may flowers”? 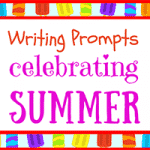 What would it be like if summer vacation was in spring instead? What is your favorite memory from spring break? Do you ever miss winter once spring starts? Where is the best spot to hide Easter eggs? What if the weather was like spring all year long? What are you most excited to see bloom in the spring? What’s your favorite thing to do in the rain? What does spring fever mean? Do you like the rain in spring? If you could replace spring with any other season, would you? 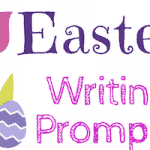 What is the best Easter candy? Why do people celebrate St. Patrick’s day? If you were drawing a picture of spring, what would it look like? Do you jump in puddles when you see them? When do you start swimming in the spring? Do you feel love in the spring air? Why is green such an important spring color? 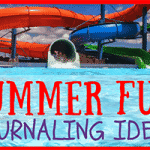 Spring brings lots of excitement, but is it too hard to wait for summer? What do you feel like when it snows in the springtime? Spring cleaning is a time to get rid of old things – what could you spring clean in your room? What will you do this year for spring break? 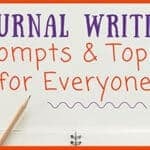 There are many more journaling prompts and journal topics on this site, and more added every week, so be sure to visit us often.